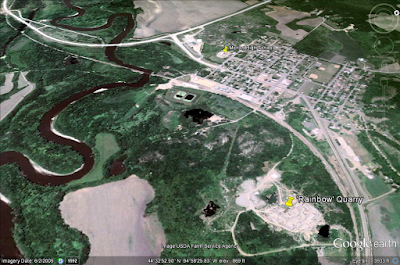 The Google Earth image shows the town of Morton, which is found near the intersection of US highway 71 and MN highway 19, alongside the Minnesota River. 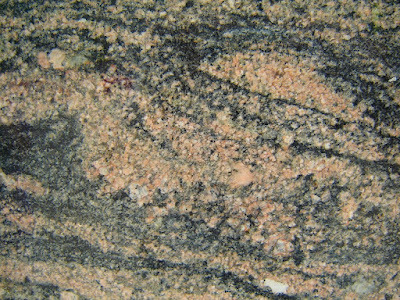 Morton is the type locality of the Archean-aged Morton Gneiss. The gneiss also outcrops at various location throughout the upper Minnesota River valley. Several roadcuts and/or quarries expose the gneiss near Morton. Northwest of the old Morton High School are several abandoned gneiss quarries, while Cold Spring Granite (http://www.coldspringgranite.com/ ) actively quarries gneiss out of the 'Rainbow Quarry' south of MN 19. A few miles upstream the Minnesota River from Morton, a sign claims World's Oldest Rock. At one point the Morton Gneiss was thought to be the oldest rock in the world (now thought to be the Acasta Gneiss in Canada). 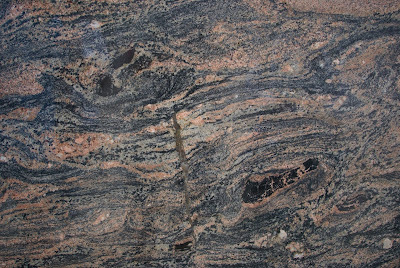 Recent studies have dated the Morton Gneiss at 3,524 million years. 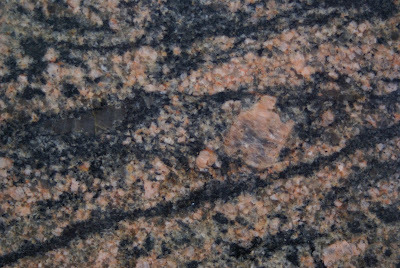 Due to the large crystalline grains, the gneiss is thought to be originally a granite. 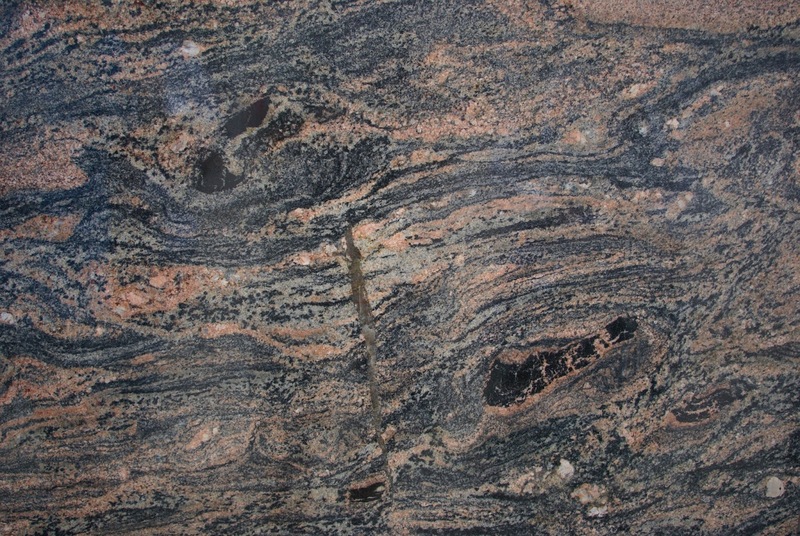 After subjected to great temperatures and pressures beneath the surface of the Earth, the original granite was metamorphosed into the foliated pink and black banded gneiss. The Morton Gneiss can also be considered as a migmatite, a mixed metamorphic rock that consists of two components, a schist or gneissose component and a grantite component. In some areas, the gneiss is very coarse grained. The Morton Gneiss has be actively quarried for use as a dimension stone, usually under the trade name of 'Rainbow Gneiss' or 'Rainbow Granite'. It can be found adorning many buildings throughout the United States, including: the West Publishing building in St. Paul, the Banker's Life Insurance building in Des Moines, and the AIG building in New York, among others.